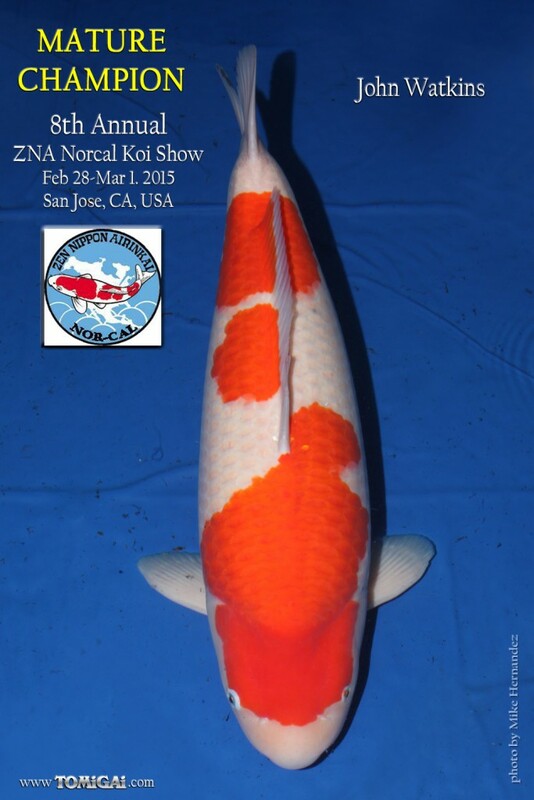 Koi Show Season has officially begun in America! 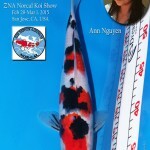 We were unfortunately not back Stateside early enough to catch the first one in Phoenix, Arizona with the Valley of the Sun Koi Club, but we managed to make it just in time for the ZNA Nor-Cal Show. 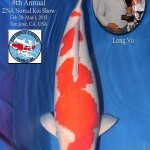 Saturday morning was beautiful and sunny and it looked like a perfect day for a Koi Show. 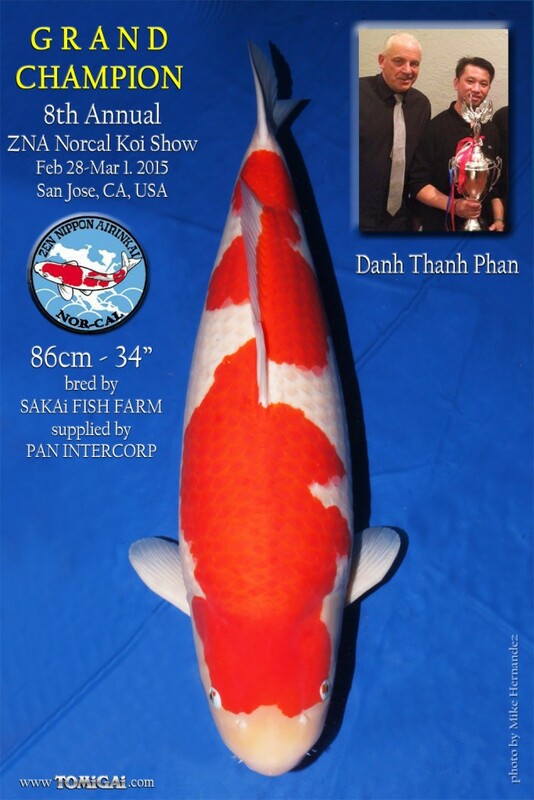 We hung out a bit with our local TOMiGAi Retailers Kevin Pham from Genki Koi, Tom Lai from Champion Koi and Rob Barreras from Majestic Koi. 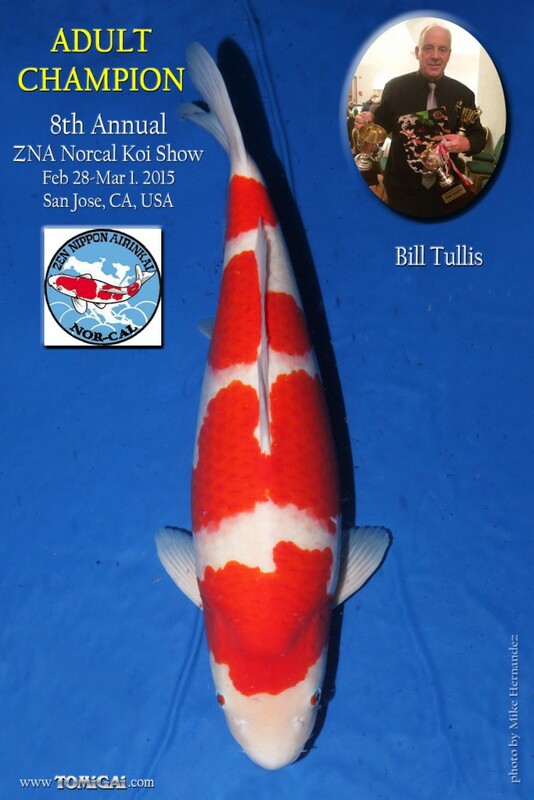 After saying hi to a few more people, I decided I wanted to try to make my way over to view all the Koi at the Show. 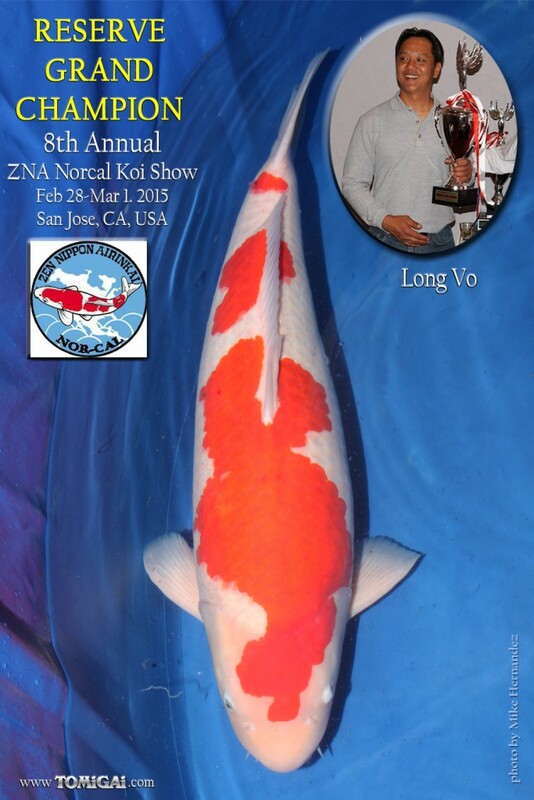 For a Koi Show regular is seems to be the longest mile walking from the entrance of a Koi show until the final tank to be viewed. I know for sure it always takes me at least an hour if I’m lucky. 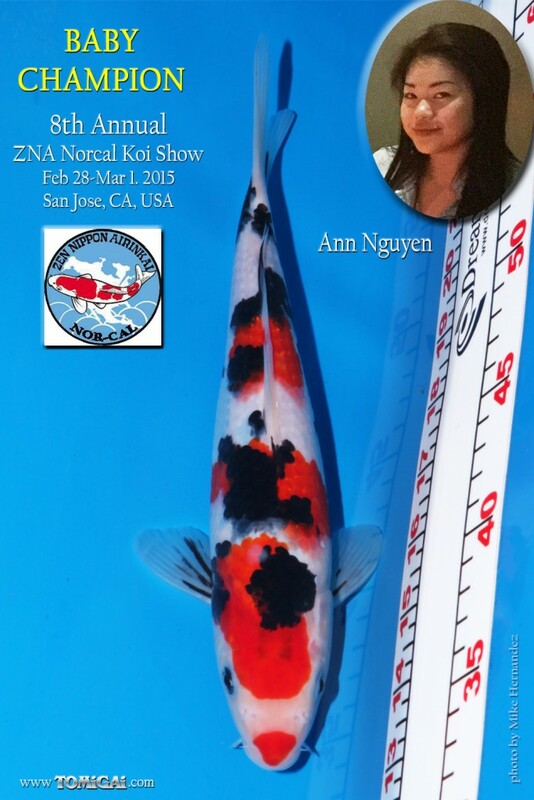 I hadn’t been at the ZNA NorCal for a few years now so it was very exciting to see everyone again. As the morning turned into the afternoon, the weather took a turn for the worst and a heavy downpour came down on the show. 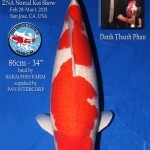 Luckily the judges were nearly finished with only a few more fish to look at before finalizing their decisions. We had a lot of work waiting for us back at our neck of the woods, so we had to head out on Saturday night. While filling up for our ride back, we noticed that the gas station featured a large fruit and vegetable store that advertised something quite interesting: Garlic Ice Cream. Can you imagine? 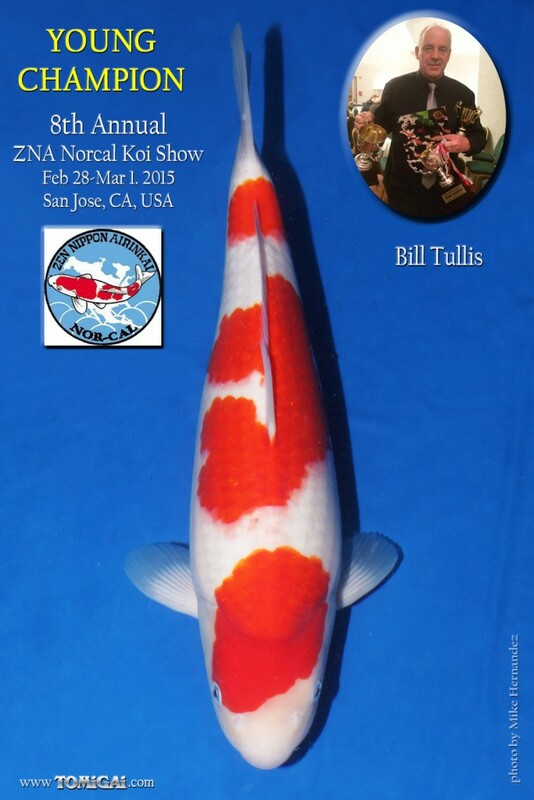 Until then, see you at San Diego this weekend! 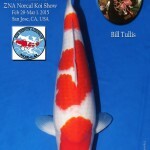 Thank you so much Mike for coming to our ZNA NorCal show. It was nice to see your family again and thank you for your donation to the club. 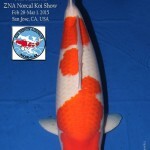 It was great seeing you again Mike, hope to see you next show in ZNA SoCal. Thanks.